I would think that every mineral processor is, or should be, aware that flotation efficiency is very much linked to the product from the upstream comminution circuit. Nevertheless it is common at large conferences, such as IMPCs and SMEs, for flotation and comminution sessions to run in parallel, such that there is little opportunity for specialists in these two areas to discuss comminution-flotation as a single entity. I am also aware, of course, that MEI's focussed comminution and flotation conferences, by attracting specialists in these two fields, do not encourage potential fruitful collaboration. This is something that we are trying to change by inviting specialists in comminution to present appropriate work at flotation and vice-versa. 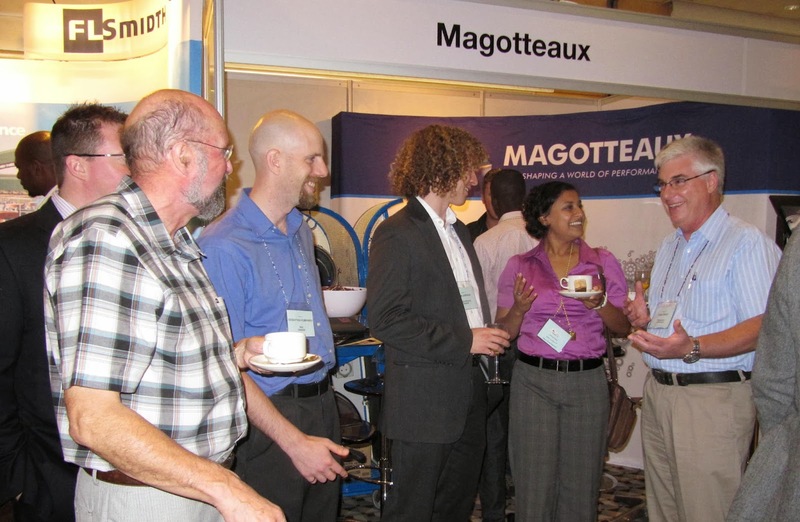 It is happening only slowly however but one company that sets an example is Magotteaux, regular sponsors of MEI's comminution and flotation series, and Dr. Chris Greet, Manager Metallurgy-Minerals Processing Research at Magotteaux Australia, who has presented papers at most of the flotation conferences, and in recent years the comminution conferences, was an ideal person with whom to discuss this important link. I asked him first of all why Magotteaux obviously finds value in the MEI Conferences. He said "Magotteaux see value in both the Comminution and Flotation conferences for a number of reasons. The obvious ones are the marketing and networking opportunities, and I know our sales team do use these conferences to meet with customers (both current and potential). However, there are deeper reasons for our attendance. Both conferences provide our technical team with an opportunity to see what is new, gain a better understanding of technical problems and catch up with renowned authorities to discuss issues that we face in our technical work. The MEI conferences do bring together a very diverse group of people and it is through discussion, debate and the occasional drop of good South African red wine that we are able to focus our technical efforts to assist sales to provide the right product for their application". He continued "Having attended both the Comminution and Flotation conferences I do note however that there does appear (at times) to be a silo mentality. At Comminution there is a huge amount of excellent work describing how breakage occurs and trying to develop more energy efficient methods to reduce particle size, but there are few studies that look beyond this to the downstream processes. Equally, at Flotation how a particle is prepared for flotation is often ignored because the exciting work is in understanding collector adsorption or the flotation behaviour of different forms of the same mineral. Do not get me wrong, the work done in both fields of endeavour is very important, but there needs to be more cross fertilisation. Finally, all is not lost, I have noticed that the topics of grinding chemistry and pulp chemistry and their influence on flotation are increasingly being discussed at conferences. This is very pleasing as I have been practicing in this area for over 25 years and I think I am starting to make some headway . . ."
"At plant level, most metallurgists realise that if the comminution circuit operates smoothly they have a better chance of maintaining a reasonably steady flotation circuit, and achieve the target concentrate grades and recoveries" he said. "Their primary motivation in operating the comminution circuit is to achieve a particle size distribution that has been nominated, which is presumably based on achieving liberation. Or, to put it another way the grinding circuit is designed to operate to achieve a particular percentage liberation for the subsequent flotation stage. So, in most thinking metallurgist’s mind grinding is associated with liberation. However, there is more to it than this, as during grinding fresh particle surfaces are generated and thanks to the likes of Gaudin (or maybe his name is used in vain) it is thought that the addition of reagents (collectors, depressants, pH modifiers, activators) will have a beneficial impact on flotation. As a consequence many believe adding the reagents to grinding (either fully or partially) is a good thing. In principal it is a good plant practice to follow, but only if the chemistry is amenable. In many instances the grinding chemistry is not taken into account. The main concerns surrounding grinding are: energy efficiency, media consumption, liner wear, and achieving the right particle size distribution. All are very important, however if the product from the comminution circuit does not produce particles with the right surface chemistry it is highly likely that concentrate grades and mineral recoveries will suffer. Despite the many non-believers grinding chemistry is critical to achieving metallurgical excellence. There are many articles in the literature that talk of the necessity of operating in the right Eh regime to achieve collector adsorption. The CSIRO have published extensively in this area, and have shown that most sulphide minerals have an Eh threshold below which collector adsorption is weak and recoveries are low. In most instances the Eh of the plant mill discharge is well below this threshold, yet plants continue to add collector during grinding, thinking that they are doing the right thing. For example, the threshold Eh for collector adsorption onto pentlandite is about +187 mV (SHE), and the mill discharge Eh can be as low as -250 mV (SHE). So adding the collector to the mill does not enhance pentlandite flotation. Yes, once the pulp arrives in the flotation cell and is aerated the Eh will increase and collector adsorption will occur. However, the likelihood is that the collector would have interacted with other minerals within the mill (for example, chalcopyrite, pyrrhotite), which have a lower threshold, and what results is a very non-selective flotation. All impact the pulp and surface chemistry and have an influence on the outcomes of the flotation process. So, an understanding that the comminution circuit is not only about reducing the particle size to achieve adequate liberation for the subsequent flotation stage, but is also a chemical reactor where the surface chemistry of the minerals we are trying to separate is generated is a must. To maximise metallurgical outcomes the flotation operator must take an active interest in the comminution circuit". So important is pulp chemistry that Magotteaux has patented a laboratory mill designed to reproduce the pulp chemical conditions of the plant grinding mill in the laboratory. The Magotteaux Mill® allows the user to investigate the impact of grinding chemistry on their metallurgical process. The product generated in the laboratory has nominally the same physical properties (particle size distribution) and pulp chemical properties (Eh, pH, dissolved oxygen, oxygen demand and EDTA extractable iron) as an equivalent sample taken from the plant. This signifies a distinct advantage in testing as the results produced in the laboratory are more representative of those that would be observed in a plant. 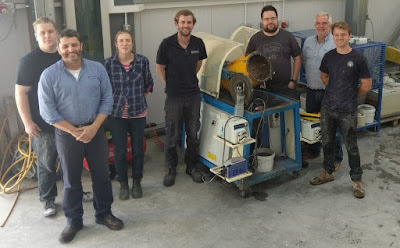 The UK company Grinding Solutions Ltd, sponsors of three MEI Comminution conferences, including the forthcoming Comminution '18, are also very aware of the link to flotation, and recently took possession of the Magotteaux Mill in their rapidly expanding premises in Cornwall. Not surprisingly GSL's flotation consultant, Dr. Kathryn Hadler, is a regular presenter at the Flotation series of conferences and she says "The Magotteaux mill enhances significantly the ability to monitor chemical conditions during milling, which allows greater understanding (and improvement!) of flotation performance response. Furthermore, it provides an opportunity to improve the integration of mineral processing laboratory testing which is of increasing importance as we move forward with lower grade and more complex ores". My hope is that these two progressive companies highlight the important links, both physical and chemical, between comminution and flotation and this awareness will be taken up by researchers in this crucial area of mineral processing. I was at the University of Exeter's Penryn Campus again last night, this time for a very pleasant evening hosted by the Camborne School of Mines Association (CSMA). The CSMA currently has around 1,000 members from all over the globe and helps to organise social functions throughout the world, in Western Australia, Queensland, New South Wales, Johannesburg and Vancouver, and of course the UK, to name but a few. Last night's event brought together CSM alumni, and past and present staff, to share pints and pasties with current CSM students in the Stannary bar, and talk about the benefits of joining the Association. Talking to people wherever and whenever possible was the all important mesasage to the students, as was the value of social media, particularly LinkedIn, Facebook and Twitter, ideal for staying abreast of what is going on. And on the subject of social media, yesterday I learned via the CSM Association's Facebook site of further developments on the resurgence of the South Crofty tin mine at Camborne, which has been closed for almost two decades. Work is set to begin next month on testing the water in the mine, with the aim of applying to the Environmental Agency for a ‘discharge permit’ to begin dewatering. According to Strongbow Exploration, the aim is to be able to treat and discharge up to 25,000m3 per day, which would allow for the mine to be dewatered over an 18-24 month period. So some cause for optimism? 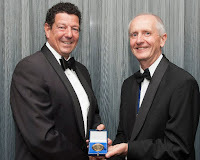 Also yesterday I learned via Twitter that my old friend Prof. Jan Cilliers, of Imperial College, was awarded the IOM3's Futers Gold Medal back in June! Although we met up and had a long chat at the IMPC in Quebec, he never mentioned this- a modest chap, but well done Jan and many congratulations on a well deserved honour. "What you leave behind is not what is engraved in stone monuments, but what is woven into the lives of others". "Travel is fatal to prejudice, bigotry, and narrow-mindedness, and many of our people need it sorely on these accounts. Broad, wholesome, charitable views of men and things cannot be acquired by vegetating in one little corner of the earth all one's lifetime". I thank Jan Drzymala and Przemylaw. B. Kowlaczuk of the Wroclaw University of Science & Technology, Poland for this contribution, the XXVIIIth IMPC from a Polish perspective. 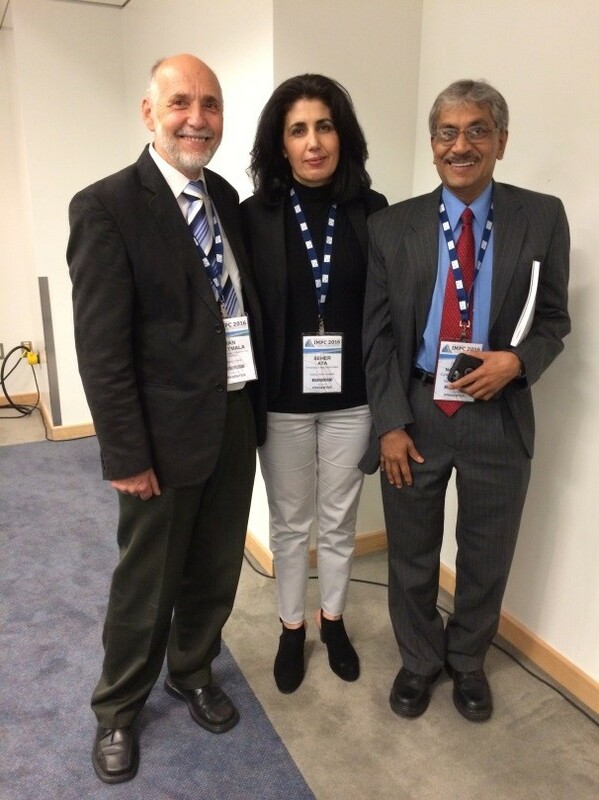 "For people working in the mineral processing area each International Mineral Processing Congress is a great event. It is also our holiday. The 2016 IMPC, held in Quebec, Canada was such a great event. For several reasons. The first one is a great number, 1487 participants from 58 countries. The second reason is the number of presentations, while the third one is the beauty of Quebec City and its surroundings. The IMPC 2016 was great also because of the pleasant venue and discrete safety measures undertaken by the organizers. 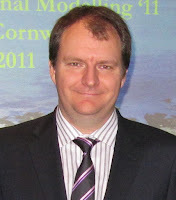 The general chairman of IMPC 2016 was Prof. James Finch. There were 10 registered participants from Poland. We were very happy to have the chance to meet many people we are already personally known as well known only from publications. Also meeting with people of Polish origin and sharing with them opinions about latest developments in the home country was very pleasant. The photos below show smiling faces of participants of such meetings. The Congress was great because the presentations covered almost all aspect of mineral processing. Most papers dealt with typical mineral processing issues from sampling and ore characterization, through comminution and particle size control, to different separations and finally dewatering and products preparation for economical selling. There were also papers on biometallurgy, hydrometallurgy, pyrometallurgy, electrometallurgy, extraction, process control, management, mineralogy as well as mineral processing teaching. Worthwhile is to mention the New Frontiers session covering harsh environment including Arctic, undersea and space. Environmental issues and iron as well as arsenic removal from solutions were also considered during the Congress. There is still a problem in the mineral processing society with terminology and definitions of many terms. During the Congress the term geometallurgy, usually understood as issues from geology to metallurgy, was used relatively frequently. The term minerallurgy, which in our opinion is the best substitute for mineral processing, was not present. 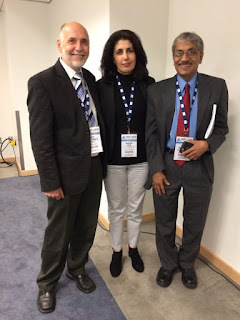 Not present was also the term holistic approach which was very much visible during the Congress in Santiago in 2014. The terminology issue requires systematization. Educational issues were also discussed during IMPC 2016. Polish contribution was presented by Professor Daniel Saramak and was entitled Education programmes connected with mineral processing in Poland, session IMPC Commissions: Education, Mineral Processing for the Future. An integral part of the Congress was the exhibition. It provided opportunity to get acquaintance with the latest development in mineral process technology. 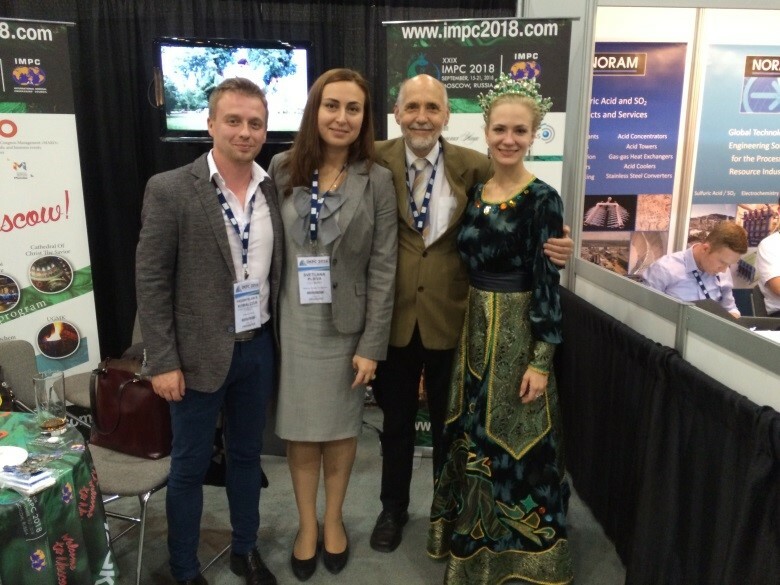 We also liked the booths of MEI as the great media partners for conferences and the Russian booth informing about the next IMPC in 2018, which will be held on September 15-21 in Moscow. Let us meet there. During the Congress Prof. Cyril O’Connor announced that the IMPC in 2020 will be held in Cape Town in South Africa. The candidate countries for IMPC 2022 are United Kingdom, Australia, USA and of course Poland. 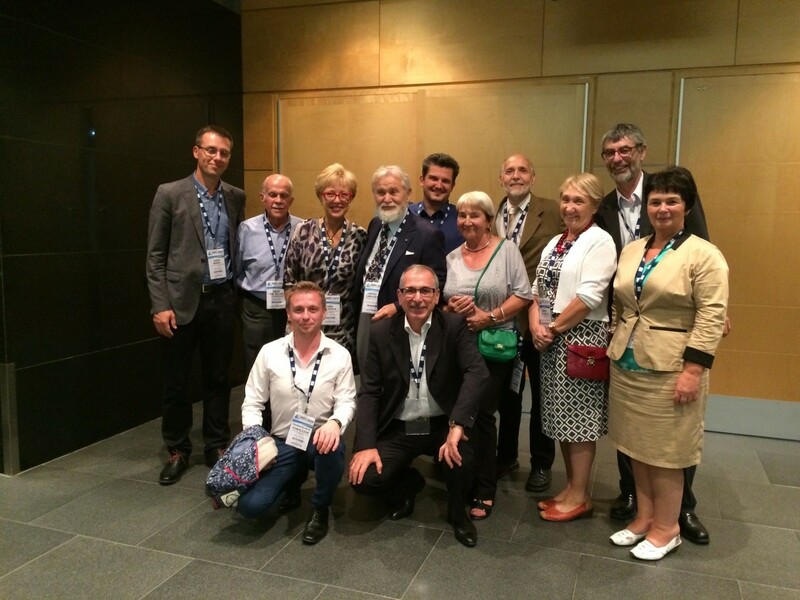 After the Congress there were educational and industrial trips as well as individual activities. One of the option was visiting the Laval University in the Quebec City, which we did". Minerals processing is characterised by complex multi-phase flows that present significant modelling and simulation challenges. Recent advances in not just computational power, but also the models, algorithms and implementations, especially in terms of parallel processing, have resulted in significant improvements in our ability to directly simulate these systems. Despite the computational resources available, the shear range of scales at which important phenomena occur at in minerals processing means that no one technique can hope to resolve all the complexity of these systems. This means that the approach used needs to be tailored to the system and scale being studied. MEI's highly specialised Computational Modelling conferences now attract an elite group of scientists from around the world, to discuss the rapid advances in this field. Prof. Stephen Neethling is just one of this highly focused band, who has attended all five of these meetings. Stephen is currently a Professor of Minerals Processing in the Department of Earth Science and Engineering (Royal School of Mines) at Imperial College London, where he has worked for the last 11 years. Prior to that he worked in the Department of Chemical Engineering at UMIST/University of Manchester, where he also obtained his PhD. He is originally from South Africa and did his undergraduate studies at the University of Cape Town. His main research area is in the modelling and simulation of minerals processing systems, with particular emphasis on flotation and heap leaching. 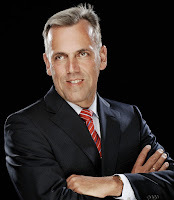 He is particularly interested in how the models and results obtained from them can be applied in industry and to this end he has worked closely with a range of major mining and mining equipment companies including Rio Tinto, Weir Minerals, Imerys and Outotec. Stephen will be presenting an eponymous keynote at Computational Modelling '17 in Falmouth next June, in which he will examine a range of different approaches that have been applied within his group at Imperial College. At the equipment scale continuum Finite Element and Control Volume based Eulerian-Eulerian simulations are often most appropriate, with the discontinuous phase being modelled using approaches such as population balancing. This, though, requires assumptions to be made about both the interactions between phases and about how the behaviour of an ensemble of discrete particles is averaged. Some of these issues can be resolved by treating the discrete phase in a Lagrangian fashion either by using representative particles or by using a full DEM approach to model the particles in the system and coupling this behaviour to either an Eulerian or Lagrangian fluid flow simulation. These types of approaches, though, will typically come at the cost of a significant increase in the simulation complexity and computational effort required. The utility and shortcomings of all these approaches will be discussed in the context of the modelling of a variety of minerals processing systems and equipment, including flotation, heap leaching, mills and wear in slurry pumps. 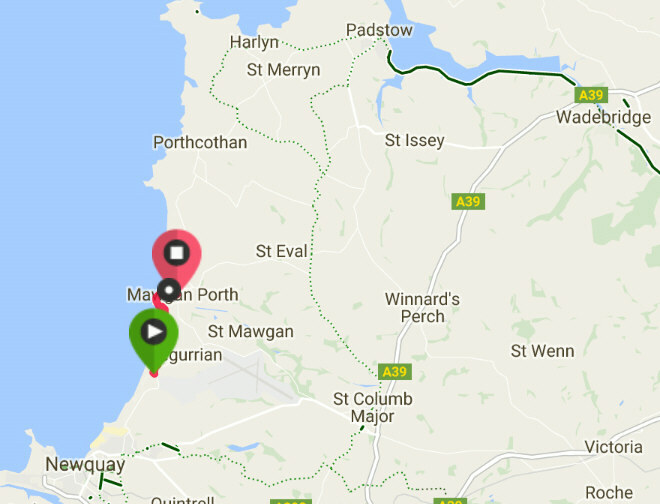 Computational Modelling '17 will be held at the St. Michael's Hotel in Falmouth, Cornwall, back to back with Physical Separation '17. This is a pleasant, fairly easy, two and a half mile walk, with a total elevation gain of only 510 ft. Unlike many of the north coast walks there are no precipitous plunges to sea level and back, and the good footpath gently undulates between two large and glorious golden sand beaches, with picturesque sheltered coves in between. Comminution in the mid 21st century - will SAG mills still be relevant? This is the question which will be posed by Prof. Holger Lieberwirth of TU Bergakademie Freiberg, Germany, in his keynote lecture at Comminution '18 in Cape Town. What are your views? Will SAG mills still be relevant in 50 years time? There was a very big turn out last night for the October Cornish Mining Sundowner, held at the University of Exeter's Penryn Campus. Regulars were joined by members of the Cornwall Mining Alliance (CMA) for the official launch of its website. Having developed from some initial ideas and discussions had between the Sundowner and UK Trade & Investment (UKTI) personnel in 2012/2013, the CMA was formed in 2016 and intends to connect mining expertise and provide the right people for the job. The CMA is partnered by Cornwall Chamber of Mines & Minerals, UKTI and University of Exeter, and already has 69 members, reflecting the high profile that mining still has in this historic area, once the world's largest producer of copper and tin, and now home to a unique concentration of innovative businesses, organisations and experienced professionals, providing services to all aspects of mining and related industries in the UK and around the world. It was an interesting evening, where I met a recent Camborne School of Mines graduate who has acquired a hard rock rare earth deposit in Namibia (expect to hear more of this at MEI's proposed Rare Earths '19 in Windhoek) and talked to various people of the two hot topics in west of England mining at the moment. It is sad to hear of the problems that Wolf Minerals is having with its Drakelands tungsten mine, just across the border in Devon, due to low metal prices and problems with a very sticky ore. Also interesting to hear a very reliable source talk with optimism of the possible resurgence of South Crofty tin mine in a few years time, despite the scepticism which was shown at the sundowner only 2 months ago. I would love to see it happen, but would not personally put my money on it! There have been comments on the following postings since the last update. We have a fine programme of international papers for Process Mineralogy '17, which will be held at the Vineyard Hotel, Cape Town, in March. The provisional programme, which is still evolving, is now available for viewing on the conference website. Of the 60 papers currently accepted for presentation in oral and poster sessions, there are three keynote lectures by leading players in this field. "Process Mineralogy: An essential booster of the circular economy" will be given by Prof. Eric Pirard of the University of Liege, Belgium (posting of 7th March). Prof. Jan Miller, of the University of Utah, will review X-ray tomography for mineral processing (posting of 6th October) and Steve Williams, of Pasinex Resources Ltd, Canada (posting of 24 February), will review the benefits and tasks ahead for geometallurgy, a subject which will feature strongly in the conference. As with all MEI Conferences, networking is considered of great importance, so the technical programme will be supplemented by informal social events, including a welcoming wine reception, 'happy hours' in the Vineyard gardens and a very informal conference dinner at the Lagoon Beach Hotel with its stunning view of Table Mountain. It is not too late to contribute to the technical programme. If you would like to present a paper, short abstracts should be submitted as soon as possible, and, if accepted, draft papers will be required for the unrefereed Proceedings, which will be available to delegates on USB at the conference. Final papers should be submitted no later than one month after the end of the conference. These will be refereed, and, if accepted, published in a special Process Mineralogy issue of Minerals Engineering journal. Registration details can be found on the conference website. If you have not attended an MEI Conference in Cape Town, this 7 minute video, taken at Process Mineralogy '14, will give you some idea of what to expect. As ores become leaner and more and more difficult to treat, process mineralogy is becoming increasingly important to meet the current technical challenges, so we hope to see as many mineral processors, both from academia and operating plants, in Cape Town next March. Mill Operators Conference '16 - how was it for you? Jon's brief notes and photos from Perth (Day 1, Day 2, Day 3) suggest that last week's AusIMM Mill Operators Conference was a great success, so we now invite feedback from those who attended. I gather from reports that the papers were of high quality and there were fewer than 50 presentations, such that there were no parallel sessions - which can be a real problem at other conferences (see IMPC 2016 report), and no posters, unusual in a conference with over 450 delegates. As Jon says, although this was a multi-disciplinary mineral processing event, the lack of parallel sessions meant that everyone broke out for coffee at the same time, and there was a real buzz during these breaks in the exhibition area, where everyone was talking about the same thing. As at all conferences these days it is increasingly difficult to attract operators, and although Mill Ops is essentially an operators' conference series, out of the 460 delegates, only 99 were operators. This is a worry for all conference organisers, and we are still searching for an answer to this problem. So, I invite you to submit your views- how was Mill Ops '16 for you? 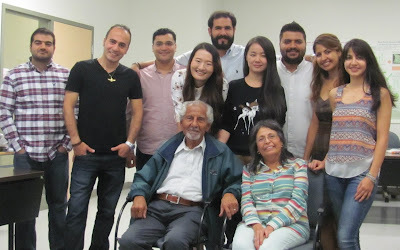 Fathi Habashi, Professor Emeritus of Extractive Metallurgy at Laval University, Quebec, Canada, is a great man and is truly an inspiration for many of us, specially for students all around the world. His books on extractive metallurgy are regarded as pathfinders for academia and industry. Whenever you listen to him or read his paper, you gain new things not only about the subject but also about its history. As Prof. Habashi says: “Educated people are the most important wealth of a country. Students of today are the leaders of tomorrow. Therefore, the Government must supply all possible means to have well educated engineers who could fulfill their responsibilities in the future”. So, please raise your glasses to him. 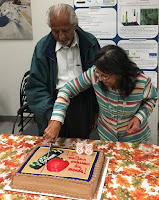 We, a group of 10 doctorate students in engineering departments at Laval University, organised a surprise birthday party for Prof. Habashi with the help of Nadia, his lovely wife. Prof. Habashi made a special presentation for us telling the story of his life and giving some tips for graduate students. A few of the tips are: “(i) Once you get a satisfactory job consider getting married so that you can lead a civilized life; (ii) You may become a distinguished scientist or a merited engineer but don’t forget that you are first a human being who should be modest and considerate; (iii) Do not stay in what is called “ivory tower”. Travelling and attending conferences have enormous, some times unexpected benefits”. We enjoyed the party with birthday cake, sandwiches (handcraft of Nadia), grape, wine, and etc. One of our friends sang a song and contributed the ambience. We all spent an enjoyable afternoon today. 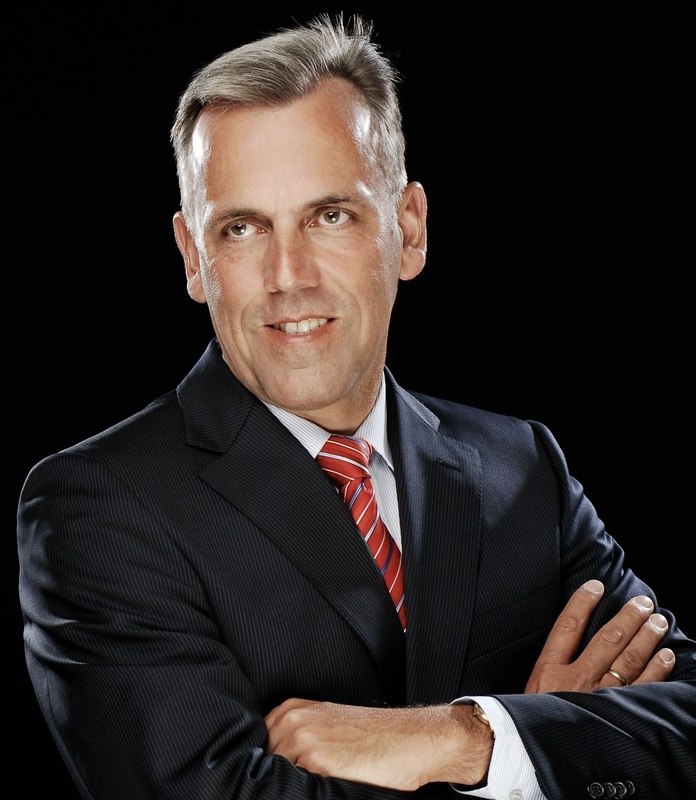 It was only one month ago that he delivered two presentations at the XXVIII IMPC in Quebec City, which is often called the Olympics of mineral processing. He is quite active, still travelling the world giving courses, and presenting keynote lectures. His next trip will be to Tbilisi, Georgia in two weeks’ time. We all wish you both health, happiness and love. Dear Nadia and Fathi, thank you very much for all your kindness and support. We at MEI thank you for your comments, Ahmet, and we too wish Fathi belated birthday wishes. There was a good turnout this morning for the keynote presentation. The last day wind down of a conference was highlighted by the conference chairman who urged people to stay until the end, always a difficult problem for organisers! Final numbers were announced as 460, up from 380 at the last event and in the closing talks Peter Munro said the aim for 2018 should be 600. Of the 460, 99 were operators and so the challenges of getting people from plants to the conference were highlighted. This is a real challenge faced and options such as getting papers written by others using the plant data were discussed. The exhibition ran until the afternoon which gave me a chance to look around again and get some more photos, it was especially interesting to talk to IXOM who were previously Orica and had attended MEI Conferences in the past, we hope to see them at Flotation '17! 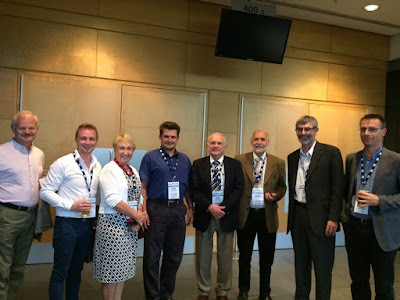 During the close Tim Napier-Munn presented an award for the best paper to Sinclair/Hunter/Landweh for their paper entitled "Syama Gold Mine- the journey towards a class-leading Gold Mine". The best presentation award went to Campbell Haines for his paper "The transition from semi-autogenous to autogenous milling at Waaihi Gold". Overall the conference has been viewed to be a great success, partly for two changes since last time. First the abandoning of parallel sessions (something MEI have always been fervently opposed to) and then the discussions after the talks. I look forward to Mill Ops 2018 and MEI will post information regarding its date and location once these have been decided. The second day at the conference carried on with the enthusiasm from day 1. The sessions were busy and everyone was talking about the same thing, one of the bonuses of having no parallel sessions, although a necessity at some conferences, something that no one seems to like. The fact that everyone breaks out at the same time after the same papers gives a real buzz to the exhibition area where the breaks are held as everyone is talking about the same thing. 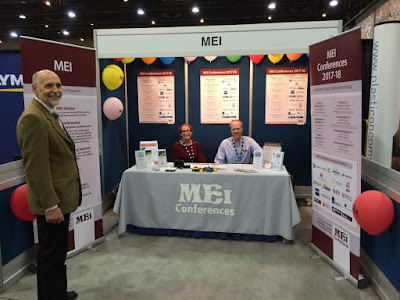 There are 46 exhibitors which is testament to the popularity of this event and it was good to catch up with many who are MEI conference regulars (but may have their Australian team here) and also to meet with companies that aren't so aware of our events. The evening dinner was, as at past Mill Ops conferences, a great event with the usual comedian, this time a member of the inaugural Australian National Sudoku team! A team he set up so he could wear the green and gold of Australia, not taking into account that he couldn't play Sudoku. Diana Drinkwater presented the CEEC Medal during the dinner and this will be reported on MEI Online shortly. Good food, wine and company made this an enjoyable evening and a fitting end to the second day. After a gruelling 52 hour journey, including an unexpected day in Singapore, I arrived in Perth at 5am on Monday morning, just giving me time to get in to my accommodation before heading to the Pan Pacific Hotel in Perth for the start of the 13th Mill Operators conference. This is the 4th Mill Ops conference I have attended and it felt good to be back in Perth and at the former Sheraton hotel that was home to a few MEI conferences in the past. The conference got underway with the usual welcome speeches announcing that there are around 350 delegates from around the world at the event. The first keynote was given by Peter Munro of Mineralis Consultants and was entitled "Back to the Future - Still on the Dark Side" and in a passionate talk he discussed how in the last decade there have been no real technological breakthroughs and no improving of human capital by strengthening educational institutions or skill development schemes for graduates, something which Barry mentioned in his posting of 3rd October. The next talk by Peter Cameron, of Split Engineering, looked to be not so pessimistic and said that the tools were there to improve things but that they were just not being used. The organisers have introduced a new concept to the conference in that there are not traditional questions after a presentation. Instead after the session, 30 minutes is set aside for a discussion chaired by the presenters with questions being asked (maximum 1 minute allowed) and answers kept to a maximum of 2 minutes. At the end of the day there was a 2 hour welcome reception held in the exhibition area that was well attended and gave everybody the chance to relax and catch up with old acquaintances. It was during this that I met up with some MEI regulars including Magotteaux, who have confirmed sponsorship of Flotation '17, Huntsman (regulars at the same event), Ben Tordoff of Zeiss (sponsors of Process Mineralogy '17), Scantech (exhibitors at Comminution '16), Keramos (sponsors of Comminution '18) and Steve Flatman from Maelgwyn Minerals (sponsors of Flotation '17). As usual, this event looks like being a highly sociable, interesting and worthwhile event for all involved and I look forward to the next 2 days.